Our puppies sure did a good job of channeling Lady & The Tramp from 1955. The romantic tale of a sheltered uptown Cocker Spaniel dog and a streetwise downtown Mutt. But, between shar-peis. My husband thought it would be fun to tie a piece of string to one of their toys. 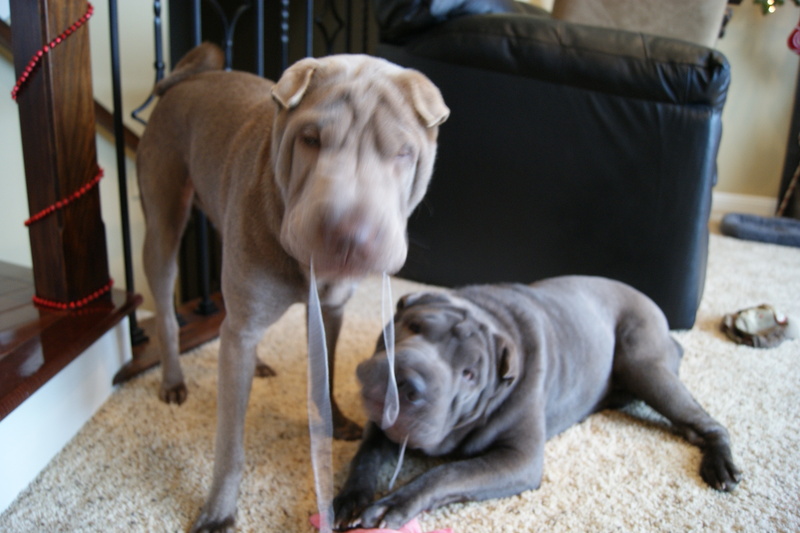 Then when they would go to grab it with their paws to play, he’d tug on the string and pull the toy away. This went on for a l o n g time. Especially with Journey. Ripley (the timid one) wasn’t too sure about a moving toy! He even swung the toy around in the air and Journey got some vertical leaps in to try and grab it, so funny to watch! Then we left the toy (plus string) on the floor for them. 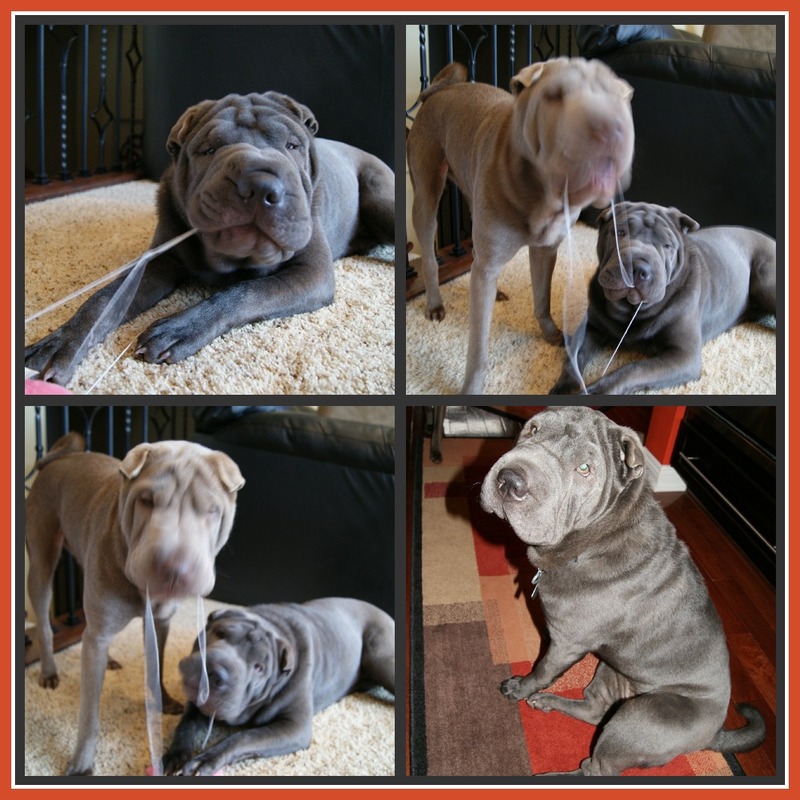 They quickly jumped at the chance to chew on some string. 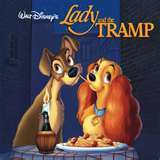 This is where it reminded me of the famous spaghetti scene in Lady & The Tramp. Should dog’s floss? Ha, I don’t think so! But Journey sure was trying with that piece of string. 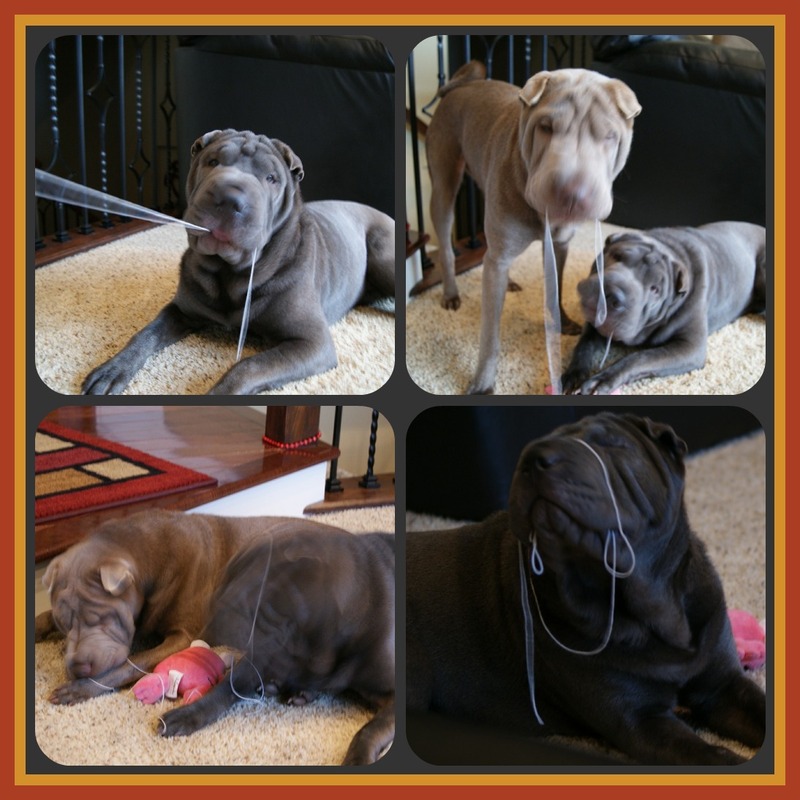 Who knew that a piece of string would provide so much amusement for these girls and my husband. Now I want a bowl of real spaghetti! Chow! 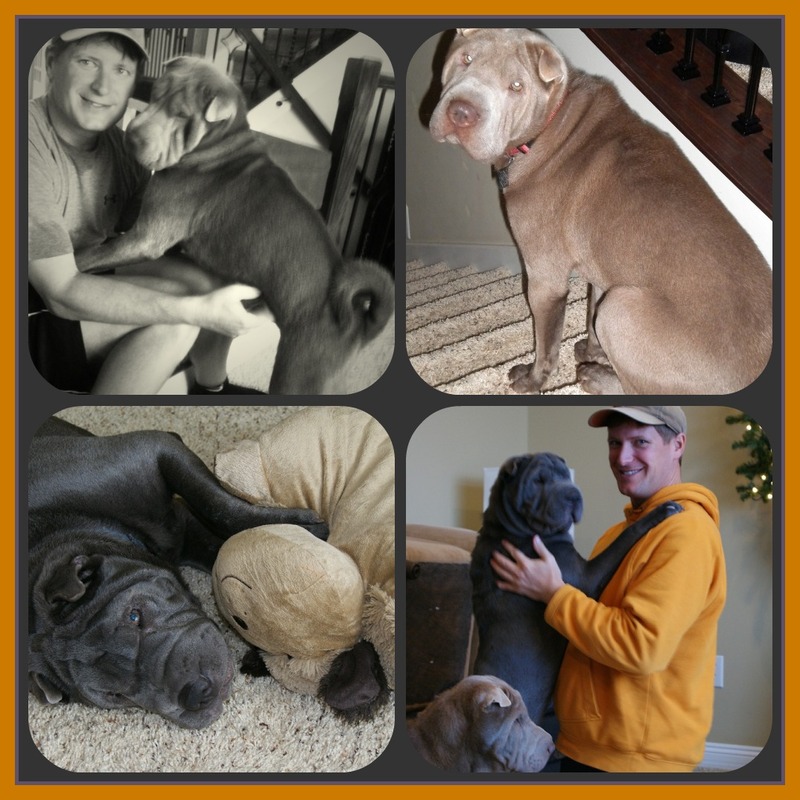 This entry was posted in Movers and Shakers and tagged Dog, Lady & The Tramp, shar-pei, Toy. Bookmark the permalink. Thanks, we think so too! Journey and Ripley are great together. They play hard with one another, but love each other just as much. We were just going to get one. But when we got there, they had more and we couldn’t go home without another one. So we ended up with two. And we are glad we did! oh my gosh, your dogs are SO cute!! We love our Journey and Ripley!